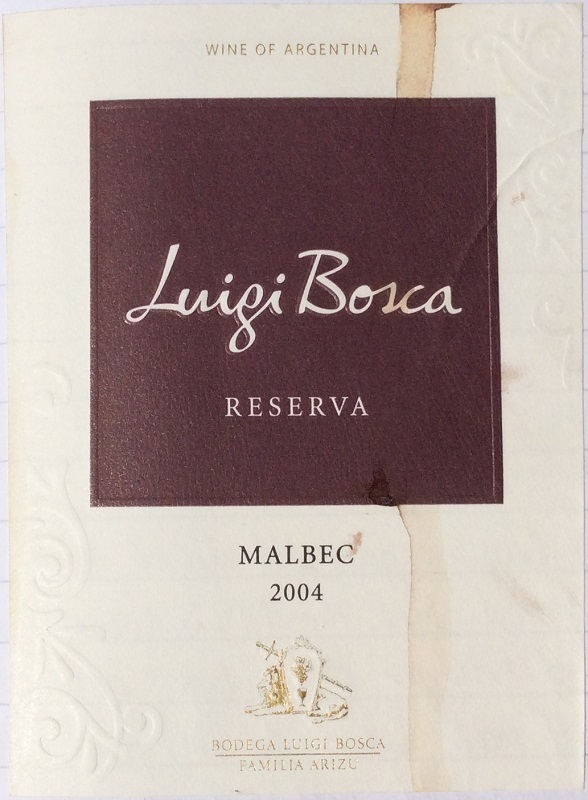 Good example of why Argentine Malbec is making a lot of friends in the Global wine market! Definitely trumped the Lagrazette Cahors for pleasure. Also from the Optimor 2nd case. Slightly opaque black cherry core, coming to a narrow, ruddy rim, showing early maturity at best. Distinct ‘legs’ – substantial alcohol? Initially a touch muted on the nose, then develops into a dark fruit and oak nose: hints of smoke, vanilla, toasty coconut and ultimately cocoa, over a core of sweet, black fruit (bramble & plum?). A menthol / herb note on the top merged with time. Full-bodied, ripe and concentrated, plummy palate, with long, slightly bitter-chocolate, but more ‘hot’ alcoholic finish. Good, balancing acidity to give fruity freshness, but tannins quite prominent and grainy. Will develop over 2-4 years. Good.